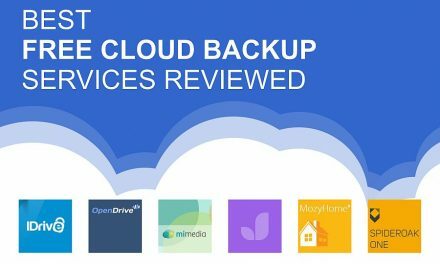 During this roundup, we’ll examine CrashPlan alternatives to see if it’s the best cloud backup solution for you. Cloud backup lets you copy your files to a remote file server. The idea: protect your valuable content from hard drive issues, deletions, viruses, and computer theft. CrashPlan owns a reputation as a top cloud backup provider, but it doesn’t stand alone. These competing services deserve your consideration, too: IDrive, Carbonite, Backblaze, Azure, and SpiderOak One. 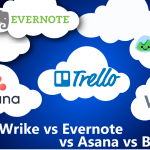 Why do we choose 1TB Cloud Backup for price comparison? We’ll compare each service by their basic backup plan for parity. Across the cloud industry, that usually means 1TB of space. However, several backup providers, like CrashPlan, provide unlimited space. 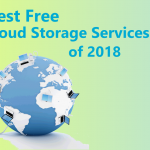 Also, you may consider trying some of those services for free – read our Best Free Cloud Backup Services Review. 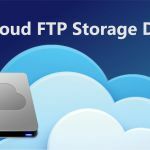 Unlimited cloud backup for one computer and connected external storage devices. 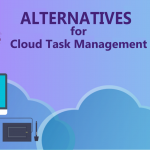 Ability to backup files to the cloud and to other computers. Protects data with 448-bit Blowfish and option for zero-knowledge encryption. Backup unlimited computers, mobile devices and external drives with one subscription. Gives you both 1TB of cloud backup and 1TB of cloud sync space. Protects data with 256-bit AES or zero-knowledge encryption. Unlimited cloud backup space for one computer. Automatically detects and backs up common file types, meaning little oversight required. Protects data with 128-bit Blowfish and option for zero-knowledge encryption. Unlimited backup for one computer and as many external drives as needed. Automatically detects and backs up all common file types, minimizing work. Protects data with 128-bit AES encryption. Offers tiered pricing for however much data you use across multiple devices. 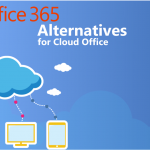 Integrates with SharePoint, Exchange, Windows Server, Linux, SQL Server, and more. Protects data with 256-bit AES encryption. Backup unlimited devices of yours with a single personal subscription. 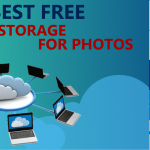 Hybrid cloud solution that lets you both backup data and sync devices. Protects data with 256-bit AES and zero-knowledge encryption. Unlike CrashPlan, IDrive doesn’t let you store unlimited data. However, it does let you backup unlimited computers under a single subscription, while CrashPlan limits you to just one. For IDrive, that includes not just your PCs and Macs, but iPhones, iPads and Android devices, too. 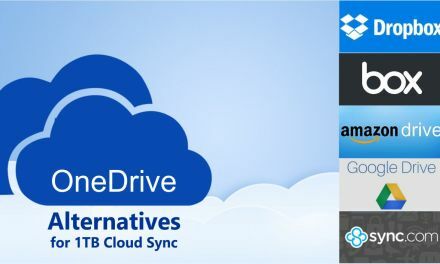 IDrive cloud backup also lets you store data from your social media accounts, including Facebook and Instagram. No other major cloud backup service, including CrashPlan, boasts that capability. Another key feature that distinguishes IDrive from CrashPlan is that in addition to 1TB of cloud backup, you get 1TB of sync space. 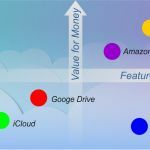 Generally, this is a capability only associated with cloud storage solutions, like Google Drive and Dropbox. In terms of overall process, both services let you manage backup via a desktop interface. These interfaces include backup schedulers, so you can plan major backups for when you’re tucked in bed. Additionally, both services let you access your cloud data remotely via the Internet. If you need real-time backup, IDrive and CrashPlan also both support that capability. However, continuous backup, as this is called, is limited to files under 500MB with IDrive. CrashPlan doesn’t impose any such restriction. Both services encrypt your data in-transit and while at rest in their respective data centers. The biggest difference is that IDrive uses 256-bit AES while CrashPlan uses 448-bit Blowfish. Both encryption methods have so far proved unbreakable, so you should be secure either way. Whether you go with IDrive or CrashPlan, you’ll have the option of using either a default encryption key or setting your own. The latter ensures that nobody but you can decrypt your data, providing what is called “zero-knowledge” security. Carbonite competes with CrashPlan as an unlimited backup service. That means you’re unrestricted in how much data you can upload to the cloud. Unfortunately, like CrashPlan, you’re limited to one computer per subscription on their basic plan. If you make use of an external drive, it’s also worth knowing that Carbonite’s most basic plan doesn’t support external drive backup – you must pay for a more expensive service ($99/year). CrashPlan, meanwhile, can backup unlimited external drives. One thing Carbonite does do better than CrashPlan – and most other cloud backup services, with the notable exception of Backblaze – is simplify the backup process. Once you download and install Carbonite’s desktop application, it will automatically scan your computer and backup all common file types. While CrashPlan will automatically tag certain folders for backup, most of the legwork is left to you. This can make it easy to overlook files. Generally, Carbonite is fine to leave in its default continuous backup state. Like CrashPlan, it lessens system resource demands thanks to incremental backup architecture. However, you can schedule backups if you prefer. One potential area of concern with Carbonite is that it only encrypts your data using 128-bit Blowfish. Compared to CrashPlan’s 448-bit Blowfish encryption, that’s not much. At this point, there’s no known way to crack 128-Blowfish, though. Plus, the lower encryption standard does give Carbonite a slight edge in speed. As with CrashPlan, users of Carbonite can opt into private, zero-knowledge encryption if privacy is a major concern. Carbonite also lets you access you cloud content remotely, through a handy web interface – just like CrashPlan. Both services offer mobile apps. Backblaze stands as another unlimited service provider, and it’s one of the cheapest. At just $5 per month per computer, it’s about $1 less per month than CrashPlan. While limited to just one computer, your Backblaze subscription can be used to backup unlimited external drives, like CrashPlan. However, CrashPlan also lets you send data for backup to external drives, while Backblaze restricts you to cloud backup. While CrashPlan provides an elegant desktop interface that’s easy to use, when it comes to simplicity, nobody tops Backblaze. Backblaze’s minimalistic interface is one of the elements that sets it apart from every other cloud backup provider, in fact. The same is also true of its web interface and mobile app, which are easier to use than CrashPlan’s. Backblaze takes advantage of the unlimited storage space it grants by automatically backing up all files of a certain type. CrashPlan only backs up certain folders automatically. You should be fine to let Backblaze send data to the cloud in real time thanks to its incremental file-transfer process. However, like CrashPlan, you can switch to scheduled daily backups if you prefer. Security for Backblaze might seem lax, given that its just 128-bit AES, compared to 448-bit Blowfish for CrashPlan. However, to date, there’s been no known brute force hack of 128-bit AES, and there probably won’t be for years to come. Microsoft’s Azure Backup differs from most backup solutions, including CrashPlan, in that you’re billed based on how much data you store. Also, there are no upfront costs imposed. That said, rates for Azure are much higher than most backup services. If you back up less than 50GB, you’re billed $5 per month. Back up between 50GB and 500GB, and you’re billed $10. After 500GB, you’re charged $10 per 500GB increment. That means 1TB of backup will cost at least $20, and probably $30. Those costs warrant the question, why choose Azure Backup over CrashPlan? For most consumers, there’s no good reason to. However, if you run a business, and have databases, application data and server data to protect, then Azure Backup might be your best bet. Azure Backup is Linux-friendly and supports backup for Windows Server, SharePoint, Exchange, SQL Server, and many other widely used business tools. On the other hand, Azure won’t help you if you’re looking to save your Mac’s data, because Apple products aren’t supported. Azure Resource Manager is user friendly if you’re a sysadmin, but again, the service isn’t really designed for the everyday consumer. CrashPlan is. 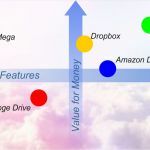 SpiderOak’s price structure is much more similar IDrive’s than CrashPlan’s, in that the service allows you to backup unlimited devices to your 1TB of cloud backup space. However, it’s also one of the more expensive consumer-level backup services. That said, it might be worth the money, as it does several things that CrashPlan does not, making it more suited to advanced users. Most notably, SpiderOak can be used to sync content across all connected devices. That makes it not only a CrashPlan competitor, but a Dropbox competitor, too. 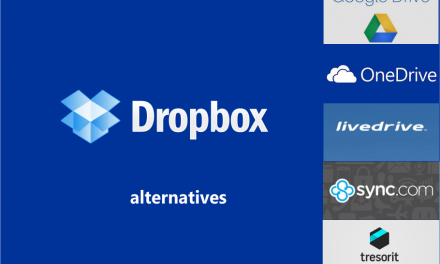 You may also consider reading more about Dropbox alternatives. Both backup and sync processes are managed via a desktop interface. Certain folders, like your user folder, are automatically selected for backup. However, like CrashPlan, you’ll need to do most of the work on your own. To that end, SpiderOak is a bit harder to work with than CrashPlan, as its desktop interface isn’t quite as streamlined. The same is true of SpiderOak’s web interface. 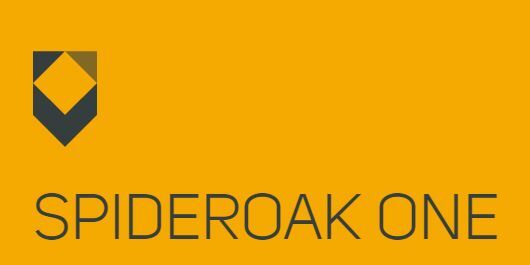 Beyond file syncing, what differentiates SpiderOak from the competition for most is its longstanding commitment to user privacy. It was one of the first providers to offer zero-knowledge encryption. SpiderOak also lets you set up secure “Share Rooms.” These rooms are basically password-protected folders, each with their own set of encryption keys. Share Rooms also provide superior monitoring capabilities to track activity. 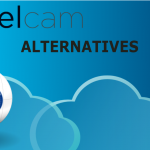 While most cloud backup services, including CrashPlan, let you share files, none do so with the level of security SpiderOak provides. 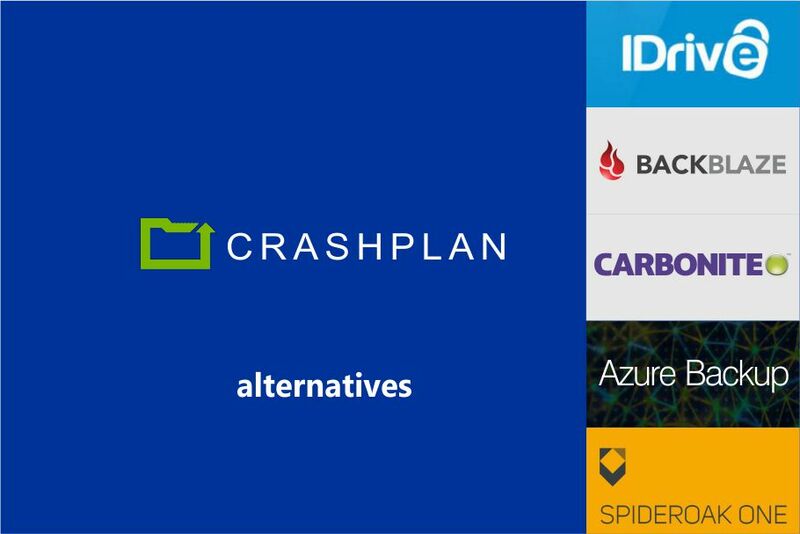 Before you buy that CrashPlan subscription, explore the alternatives. While there’s no question CrashPlan ranks as a superior cloud backup provider, other services may be better suited to your needs. Careful consideration of CrashPlan alternatives will save you the frustration of selecting what ultimately turns out to a bad fit. 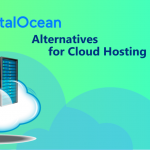 PreviousMicrosoft Azure alternatives for Windows Server cloud hosting.